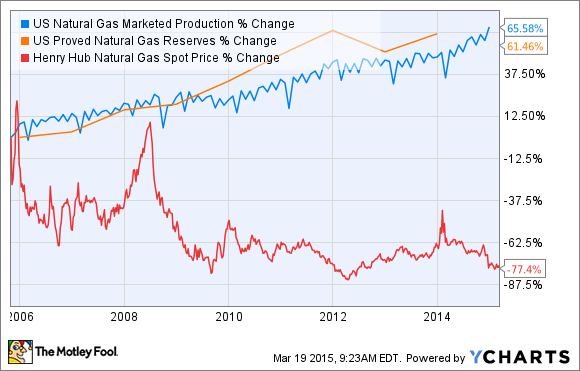 Will the Oil Price Crash Destroy Renewable Energy Stocks? Oil prices are plummeting -- should you sell your renewable energy stocks? Oil prices have plummeted nearly 50% in the past year. With cheap oil gushing at the supply seams, renewable energy investors are understandably worried about their clean and green stocks. Here's what you need to know. Oil prices are down. We're talking Global Financial Crisis down. Prices are currently sitting exactly where they were a decade ago. Compare that to The Economist's Big Mac Index, in which United States prices have jumped 57% from $3.06 in 2005 to $4.79 today, and you're left with a seemingly extremely undervalued asset. Oil drives our economy, and cheap oil prices are both a symptom and a treatment for a struggling market. But oil isn't the only energy out there, and renewable energy (and their stocks) could be affected by this latest oil price rollercoaster ride. Ask any theoretical economist to map out the demise of renewable energy, and she'll grab a napkin, a pen, and draw a couple of supply and demand curves that'll make things strikingly clear: Oil has the upper hand. When oil is cheap, people use more of it. And when other renewable energy sources become relatively more expensive by comparison, consumers head straight back to oil, hats in hand. Americans need look no further than natural gas to understand how our nation heads straight for the sale rack when it comes to energy choices. As the United States has expanded its natural gas reserves over the past decade, prices have dropped and production has soared. That's why oil is both a symptom and a treatment for our economy. It's a symptom because its drop may have been caused by less demand for energy, which, in turn, implies less economic growth. But as the wheels of capitalism make their own turns, those cheap oil prices are the same ticket out of stagnation -- and expensive renewable energies will just have to wait their cost-competitive turn. Economic models can be useful -- but in this case, supply and demand curves are simply too simple. Cheap oil prices may not actually be enough to destroy renewable energy for two reasons. The first is something we're all familiar with: high switching costs. It's the reason we don't move houses if our landlord raises our rent slightly, and the reason we keep the same cable service even when we know there's a better rate somewhere out there in that mythical cable company customer service land. For much of our economy, oil infrastructure is dead -- and we're not about to rebuild it after six months of cheap oil prices. In the power electricity sector, oil use declined a whopping 75% from 2002 to 2012, pushed aside primarily by natural gas, but also other renewable energies. This year is gearing up to be a blockbuster year for renewable energy capacity additions, and wind is expected to account for a respectable 5% of all electricity generation in 2016. With oil almost entirely out of power production and renewables remarkably in, don't expect oil companies to gain much ground, here. The second reason cheap oil prices won't destroy renewable energy stocks is one that is near and dear to investors' hearts: volatility. Oil prices are currently in the dumps, but anyone who grabs a piece of the action now should be prepared for a potentially swift recovery. And then another drop. And then a recovery. Despite being the backbone of our modern-day economy, oil prices are erratic. Take another look at that oil price chart and it's plain to see that oil prices are anything but predictable. Corporations and investors want stability, and renewable energies are increasingly offering a more consistent opportunity. Both the government and renewable energy corporations have worked hard over the past decade to take volatility out of renewable energies. Through direct public measures such as tax credits or subsidies, as well as clever financial tools such as the allowance of power purchase agreements or the creation of renewable energy yieldcos, renewable energy companies can map out much of their sales and profits for a decade or more. So, even if oil prices offer an immediate discount, corporations and investors could continue to pay a premium to cut relatively risky oil out of their operations equations.